Finished, and available for sale THURSDAY! We finished our 2014 first-ever, mantra inspired calendar today! It will be officially available for sale this Thursday at the opening of RISING, from 5-8 p.m. You can still pre-order one by downloading the 2014CalendarForm and mailing it in or bringing it to PRESS. We have already sold 20% of the calendars…we think they will sell quickly, so reserve yours today! 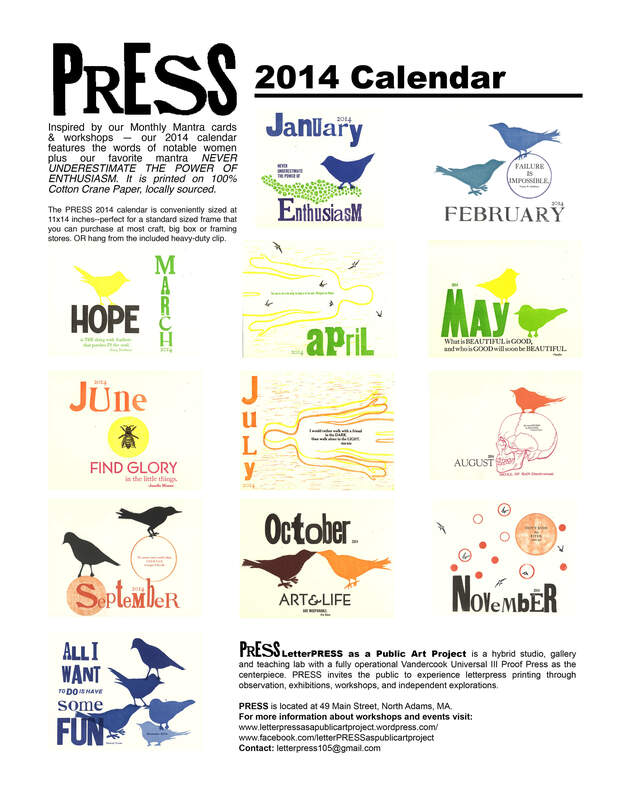 Tags: 2014 calendar, calendar, letterpress calendar, wood type calendar. Bookmark the permalink. Previous post ← Here’s a little 2014 Calendar Preview!